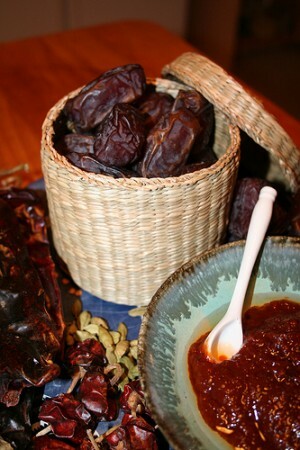 Chutnee Of Dates recipe by Fahmida at DesiRecipes.com. Wash dates finely and remove hard part in it. Put all ingredients in a grinder and grind 1 to 2 minutes or until dates disappear. you need to cook for atleast 5 min .